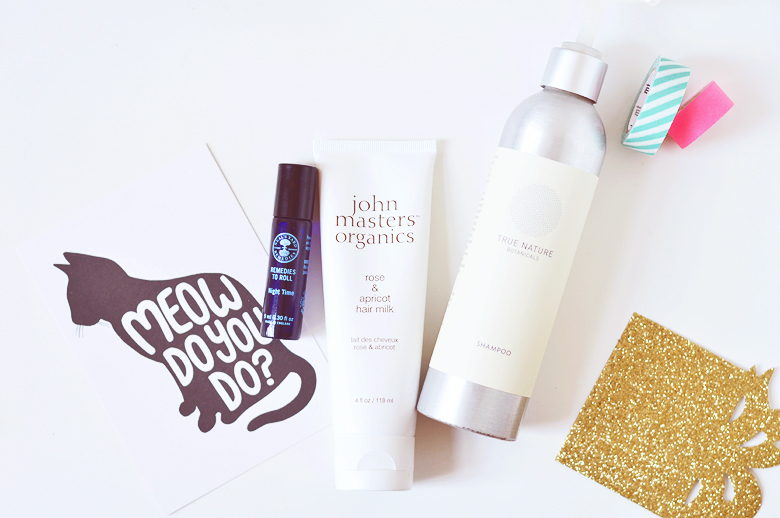 15 Beauty Faves of 2015! The yearly favourites posts are perhaps my favourite and least favourite posts to write. This is now my fourth yearly beauty faves, keeping the number included in line with the year, and even though I've gained an extra 3 products to include since starting the series it's becoming increasingly difficult to narrow down my choices. I went back through all of my monthly and weekly faves posts from the year and picked out my top products. It was difficult, and caused me some slight anxiety I have to admit. There are so many more products I should and could have included, so be prepared for quite a few honourable mentions. 1. Moss Skincare Zen Physic - one of the only spot treatments I've found specifically for cystic acne... plus it works! I've also knocked my bottle over twice and lost almost half altogether. Yes, twice. On the second time I nearly cried. 2. 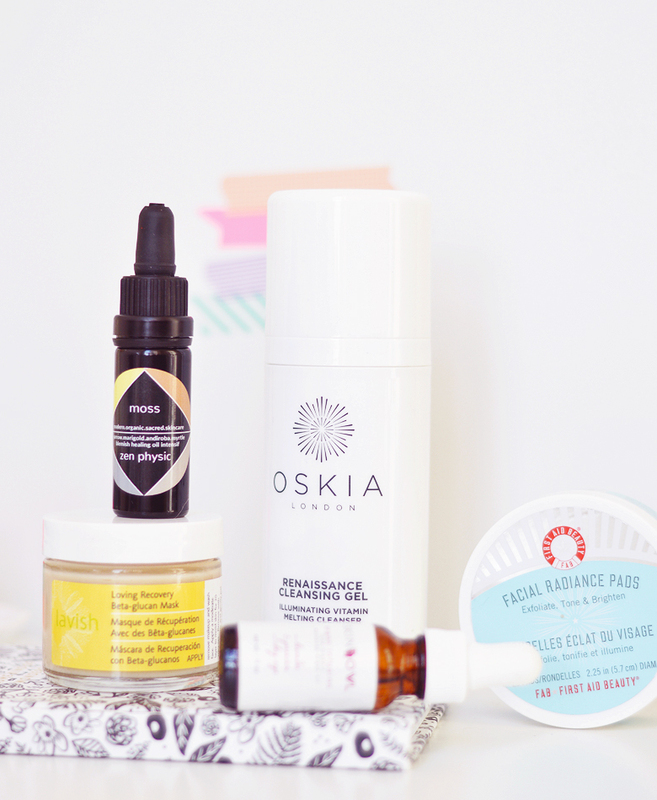 Oskia Renaissance Cleansing Gel - So many cleansers, so little time. This gel-oil cleanser has been my go-to for a few months now to quickly and easily remove makeup and also cleanse skin gently in the mornings. I have a few cleansers on rotation, most of them only have one job; to remove makeup or cleanse skin, but this can do both and that makes it a winner. 3. First Aid Beauty Facial Radiance Pads - I've mentioned these so many times this past year (that jar is so very empty and I need to repurchase asap!!) they're gentle and work so well to lighten scars and resurface skin without a hint of irritation. 4. Blissoma Lavish Loving Recovery Beta-glucan Mask - I have a full review of this coming up in the next week or so, it's laaaavly. 5. SkinOwl Lavender & Geranium Beauty Drops - I have used and loved many facial oils this year, but I'm quite partial to Argan oil and have used up a full lavender and argan Beauty Drops from SkinOwl and I'm getting through the geranium now drop by drop, day by day. Simple if often the best way. 6. True Nature Botanicals Pacific Night Serum With Retinol (Sensitive) - This was a game changer for me and my acne scarred skin. 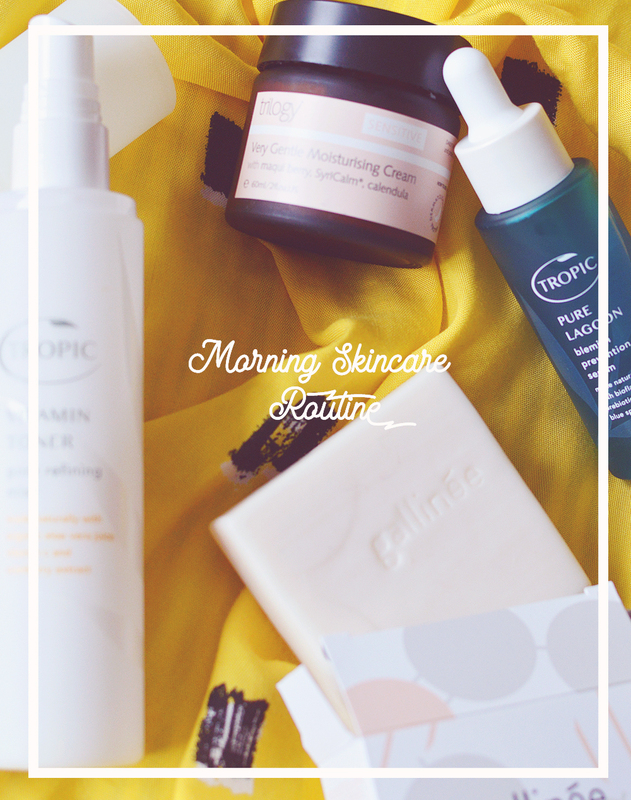 I have yet to talk about it on the blog, and promise to review it soon, but you should know it's done wonderful things for me and my face. 7. 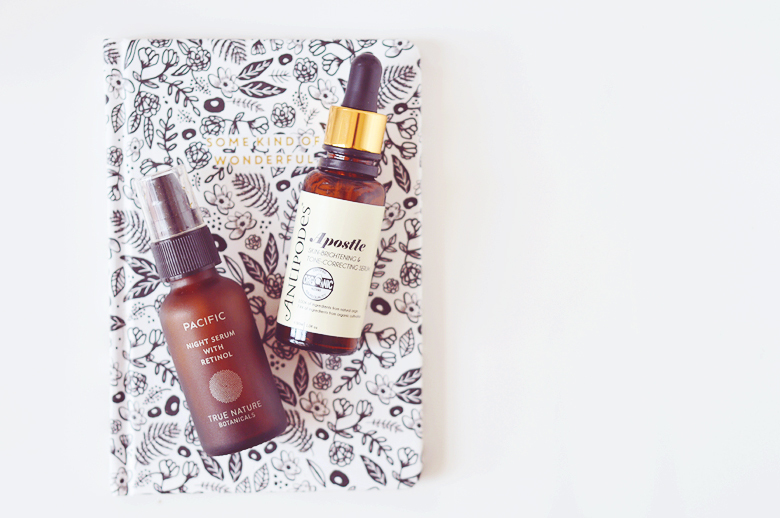 Antipodes Apostle Skin Brightening & Tone Correcting Serum - Another empty bottle that I hung on to all year for this post. If I wasn't surrounded by beauty products I would have repurchased this already. I reviewed this in full some time ago if you want to know more. 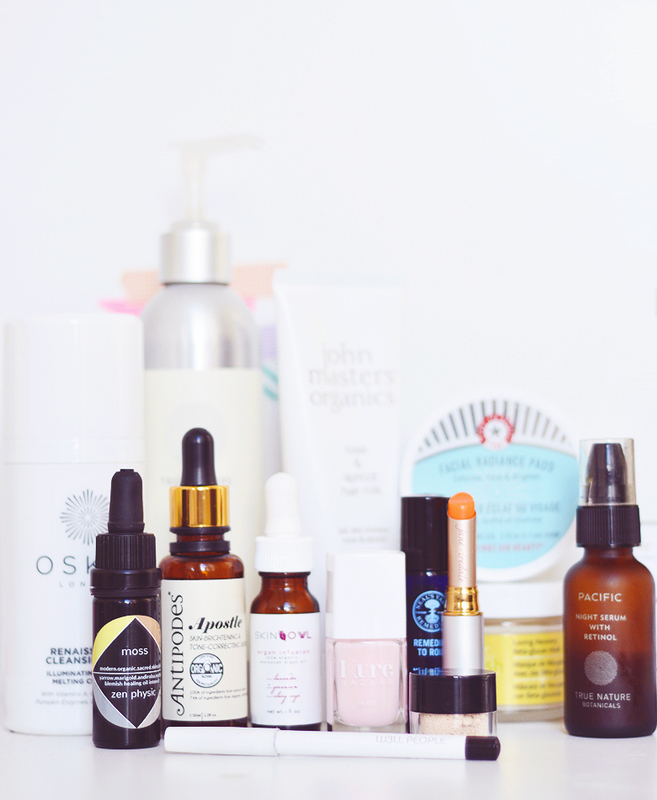 Skincare honourable mentions: Josh Rosebrook Oculus Eye Oil, True Nature Botanicals Balancing Face Oil, Vedani Botanicals No21 Cleanser, Antipodes Juliet Cleanser, The Foreo Luna mini, Holiskin Rose ACV Toner, Pai Face Masks, Dr. Alkaitis Soothing Gel & Pestle & Mortar Hyaluronic Serum. 8. Kure Bazaar Rose Milk - One of the only nail polishes I purchased this year and I just adore the colour, finish and lasting power. So Pretty. 9. Jane Iredale Just Kissed Forever Peach - Arguably the most mentioned item on the blog in 2015 and definitely in my top 3 of the year. I LOVE this! 10. 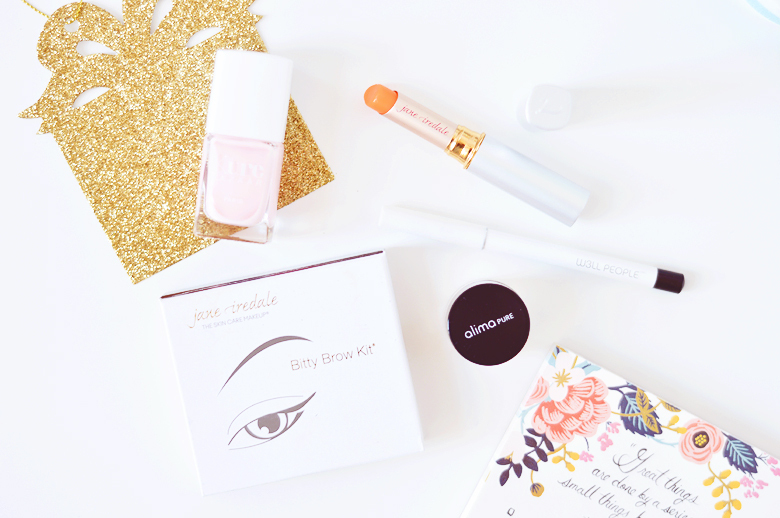 Jane Iredale Bitty Brow Kit - Jane Iredale stole the show for me this year, I loved so many products from them. This brow kit is another love, a little bulky but the powder is the perfect shade for me. 11. Alima Pure Concealer - I repurchased this before I'd even ran out, the coverage is amazing and the colour match is perfect. I really dislike the new packaging so may try something new when this one runs out, but I know I can always come back to it if all else fails. 12. W3LL PEOPLE Hypnotist Eyeliner - Last year was all about Lily Lolo, this year, in near identical packaging it's all about the w3ll people. A great, true black liner with a-okay (not the best, but not terrible, either) lasting power. It smudges really nicely for a smoky eye too and doesn't irritate my sensitive eyes in the slightest. Makeup honourable mentions: Jane Iredale Glowtime BB Cream, Inika Pink Punch Blush, ILIA Jump. 13. Neals Yard Remedies Night Time Remedies To Roll - This lives on my bedside table and the scent immediately soothes and calms. I doubt I will ever be without it. 14. John Masters Organics Rose & Apricot Hair Milk - This year I started skipping conditioner as it just weighed down my hair and instead relied on light moisture from leave in conditioner. This was definitely my fave as I can use it without fear of greasy locks on both wet and dry hair. 15. True Nature Botanicals Shampoo - I tried a lot of haircare this year, but this was my favourite out of the lot (the conditioner is also lovely but I use it much less now as I prefer a leave in conditioner... like I literally just said in the line above.) I reviewed it in full not too long ago if you want to know more! Hair and body honourable mentions: Josh Rosebrook Balance Shampoo & Conditioner, Less Is More Elderflower Salt Spray, Mahalo Balm, Kahina Hand and Body Balm. And that's your lot! 2015 was a lot of things, and I'm still not entirely sure where my year has gone, I haven't even thought about what I want to achieve in 2016 yet. Beauty wise I promise I'm going to be more experimental and buy more makeup next year! I really stuck to the same old stuff because I struggled so much with my skin. Hopefully that's not so much of a big deal for me in 2016 though and I can whip out a bold lip or smoky eye on the regular without wanting to hide away my complexion! Most importantly though... here's to another year of blogging! Thank you so much for sticking with me through all of the ups and downs of this year, if you're an old time reader or a newbie around these parts, you're all loved and welcomed by me.